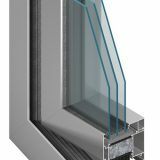 MB-45 is a modern aluminium system intended for executing elements of architectural external development, requiring thermal and acoustic insulation, e.g. 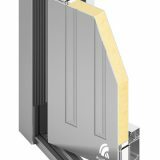 various types of partition walls, windows, doors, including manually and automatically sliding doors, vestibules, window displays, ticket box offices, showcases or spatial structures. 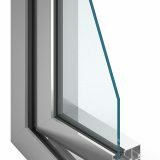 The constructional depth of window sections is 45 mm (frame), 54 mm (sash), and in case of doors respectively 45 mm and 45 mm. 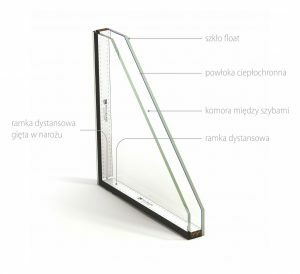 Such adopted depths of sash and frame sections give the effect of one plane on the external side after closing – in case of windows, and the effect of levelled surfaces of sashes and frames – in case of doors. 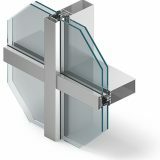 The shape of profiles allows to achieve slender and durable window and door structures. 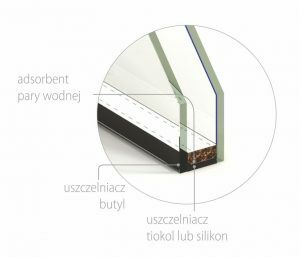 A significant advantage of the MB-45 system is the possibility of profile bending, including frames, sashes and lacings, which allows execution of different types of arches and arched structures. 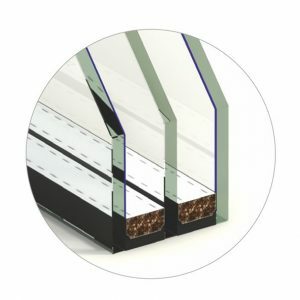 Tightness is guaranteed thanks to the use special gaskets made of two-component synthetic rubber EPDM, which guarantees ageing resistance during the long-lasting exploitation. 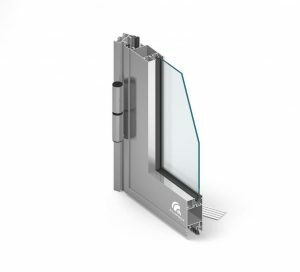 A characteristic feature of the system is its close connection with the window and door systems MB-60 and MB-70. 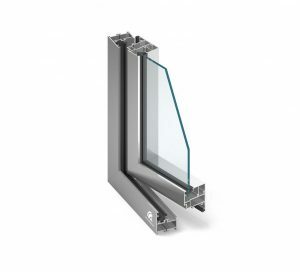 The versatility and attractiveness of the system is additionally enhanced by the possibility to select from several variants of solutions for different constructional details, e.g. 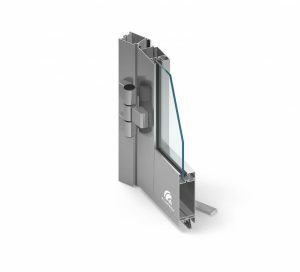 bottom sealing of door sashes, sealing of sliding and swinging door, shape of glazing beads and shape and height of door thresholds. 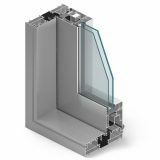 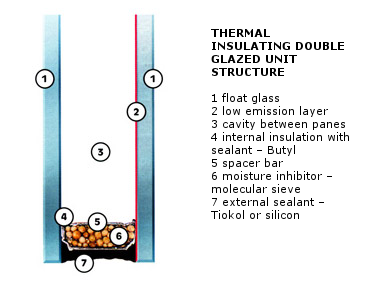 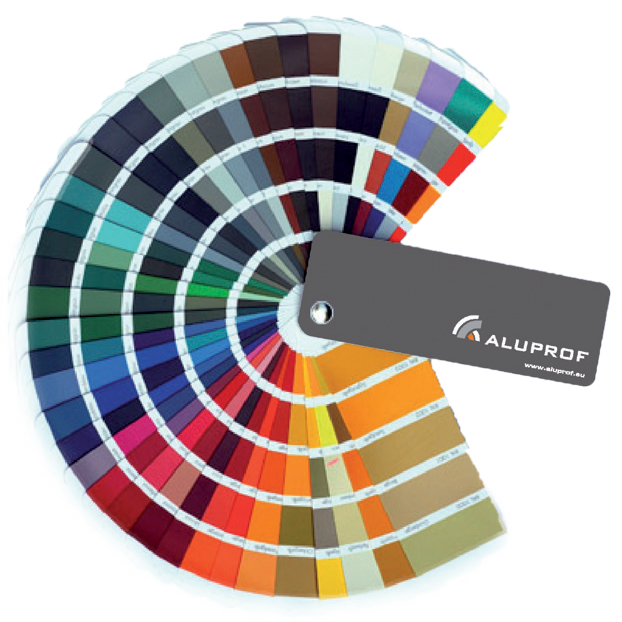 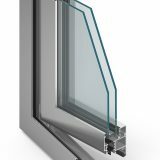 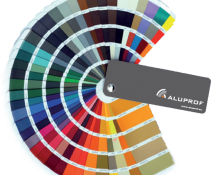 The system allows application of window pane sets with the thickness between 2 mm and 35 mm in window sashes, and between 2 mm and 26 mm in fixed windows and door sashes. 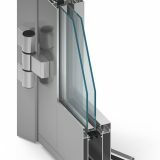 The MB-45 system is also a basis for special solutions: smoke-resistant partitions and doors MB-45D (in class S30) and such known as “fitting” doors MB-45S.